24/7 Live Answer - No After Hour Fees! Are you looking for a trusted plumber or HVAC contractor in Fort Collins? Call Calvary Plumbing and Heating at 970-230-3529 to request an immediate appointment. When you’re dealing with a plumbing, heating or cooling issue, it pays to know a good indoor maintenance company that can quickly solve the problem and get you back to your routine. At Calvary Plumbing and Heating in Fort Collins, our master technicians can handle all of your indoor maintenance needs. 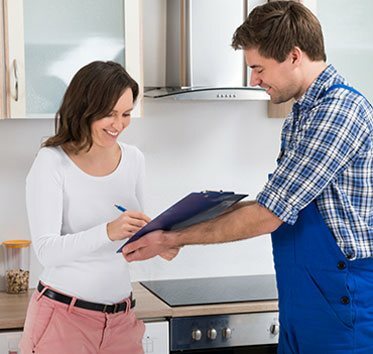 When you call us for service, we’ll arrive promptly to your door to inspect your plumbing or HVAC system, and pinpoint the source of the problem, then provide a cost-effective solution that best meets your budget and unique needs. Our master plumbers and HVAC technicians have the expert training and experience to handle a full range of indoor maintenance issues. We know you’re busy, so we work around your schedule to provide you the plumbing, heating and cooling service you need at a time and date most convenient for you. We keep our service trucks stocked with everything needed to get your home comfort and plumbing systems back on track. Never go without reliable indoor comfort because you’re afraid of the cost. You’ll know the cost of service before we even start any work because we offer free estimates to our customers. We’re Here to Help 24/7 Call Us Today! Dropdown * AC & Heating Plumbing Commercial Which Service Can We Help With? Plumbing and HVAC issues can be stressful enough on their own. The last thing you need is to have to chase down your plumber, wonder if the problem will actually be fixed, or be left with an unreasonably high bill. 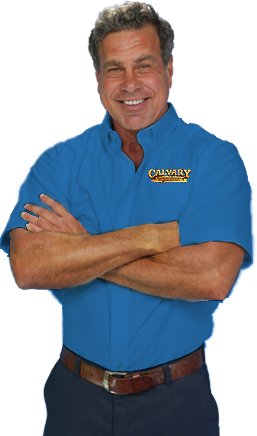 When you call Calvary Plumbing and Heating, you can rest easy knowing our expertly trained technicians will arrive on time and get the job done right the first time at a price that can’t be beat. If you have a bid from a plumber, we will beat that bid! You can always expect an honest recommendation and never any pushy upsells when you trust us for your plumbing and HVAC services. 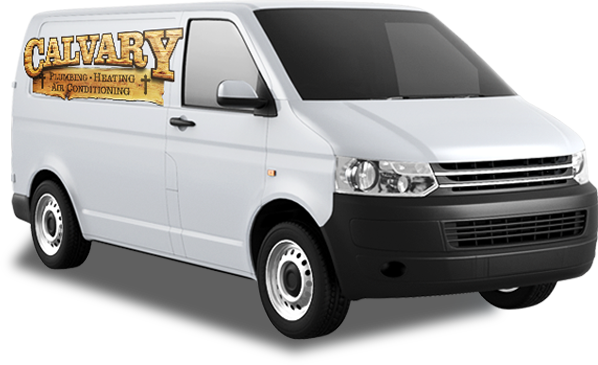 We pride ourselves on our customer service and would only recommend a service if it is absolutely necessary. We know that your problem is unique so we won’t offer a one-size-fits-all solution. Instead, we give you plenty of options to meet your unique needs and budget. Serving our customers with safe, high quality solutions personalized to them is what drives us. 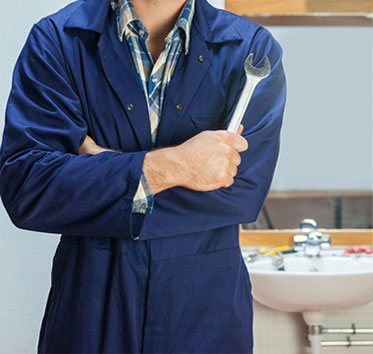 When it comes to something as important as your plumbing, don’t settle for an inexperienced handyman. Our master plumbers are certified in QuoteSoft, Aquapex, Trac-Pipe, OSHA, EPA, and stay up to date on all of the latest technology. "Great company! Great service! Not only I would recommend this company to my friends but to my closest family as well!" "William does amazing work! would recommend him to anyone." Tell Us Your Plumbing or HVAC Problem! We’ll help you solve it. As a full-service plumbing and HVAC company, we’re committed to helping homeowners solve even their toughest indoor maintenance issues. 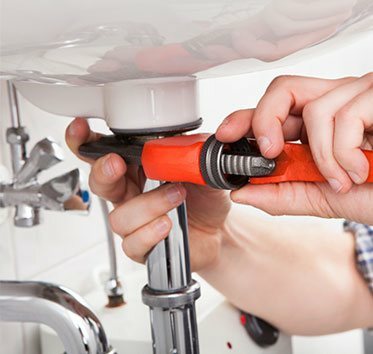 Our dedicated team provides prompt, friendly service so you don’t have to go long without the safety and comforts that your plumbing, heating and cooling systems provide. You can expect a personalized solution on services ranging from clogged drains to whole home repiping solutions to heater and AC tune-ups and installations. Don’t leave a plumbing or HVAC issue to an inexperienced handyman. Call our friendly experts at 970-230-3529 to request same-day service and get back to your routine asap.